In Color Order: Nordika Giveaway! Happy Wednesday! As a little treat for surviving through all those long Nordika project posts, how about a fun giveaway! 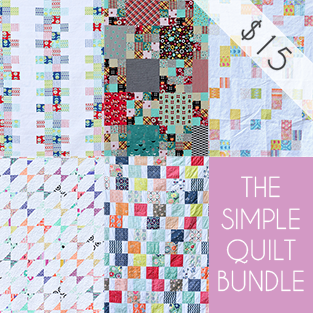 One lucky winner will receive a fat quarter bundle of the entire Nordika collection! It doesn't hit stores until July, so you'll be getting it a little early! To enter just leave a comment telling me what you're currently working on! Giveaway ends Saturday, June 15th at 5pm CST. One entry per person, all are welcome to enter! right now i'm working on a custom embroidered pillow cover. thanks for the generous giveaway! Sounds like the best give-away ever in my opinion. I love nordika and will definitely be getting some when the stores get some. At the moment im sewing a tiered ruffle skirt. I just finished up a new fox pillow order and now I'm hoping to finish up a new quilt. Oh, I love Nordika too! I'd love to make something with it. Right now I am inbetween projects but my next one will hopefully be another pp pattern for my garden series. I love your Nordika line!!!! Currently I'm working on a quilt to give my grandparents on Grandparent's Day in September. What a wonderful giveaway. I am currently working on a quilt for a friends baby. oh my word ... ty so much for the chance! I love it! I am working on a modern dresden runner right now! 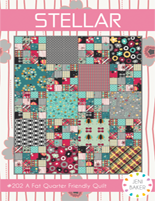 I am currently working on quilting the eleven finished toppers I have.....then I would love to start a new project with this lovely fabric. Thanks for the opportunity. Right now I am working on Kitchycoo's LAdy Skater dress and my own Prefontaine shorts pattern. Thanks for the chance! SO excited for this giveaway! I currently making anything and everything Dresden related! Started with a Dresden plate wallhanging, and am thinking it will overflow into a full-size Dresden quilt!!! Beautiful fabrics...thanks for the giveaway. I'm piecing together some leftover blocks to add to a quilt backing that is too short. My math skills are incredible. Fantastic giveaway! I'm currently working my way through an online beginner sewing course — the last thing I made was a make-up bag, and tonight I'm going to have a go at making a laptop bag! Ahhhh! I have to tell you that I am so excited about Nordika's release. I have plans to try those tanks and even that adorable dress you made. I'm currently working on my Scrappy Trip Around the World. Have 30 of the 36 blocks done! I just finished a quilt top for my son's girlfriend's high school graduation. Now I'm in the fabric acquisition phase of a paper pieced star quilt for my sister. Currently I'm working on a bathing suit wet bag, as well as some barefoot sandals. Summer is here! I'm working on a lap quilt for a co-worker who is scheduled to have surgery. Hopefully I'll get it done before her surgery so that it will give her some comfort during her recovery. What a great give-a-way! I am currently working on a few lap quilts to thank some wonderful friends for their help during my recent hospitalization. Love these new fabrics. 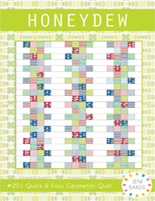 Currently I am working on a baby quilt for a great granddaughter due in July/August. Also putting labels on 3 quilts so they can be called "DONE"
Currently I have a messenger bag and a quilt going. =) Both will be done by the end of the day! Woop! Oh... and I have cupcakes in the oven... must remember to get up from machine with the timer dings!!! I'm working on a scrap quilt with pieces of fabric from quilts my mom and I have made. I'm going to give it to my sister since it has so many pieces with great memories. oh wow, those are gorgeous fabrics! I decided it might be neat to densely quilt a quilt for my daughter, ugh! it has taken me forever. Almost done with it, as long as i keep trudging along. Thanks so much for the great giveaway! 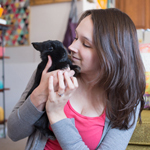 Ahhhhhhhhhhhh it would be so awesome to win your lovely fabric! Love it! I am working on 2 items for a personal swap with friends, binding for my husband's quilt, and a baby blanket for my sister. 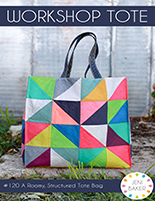 Also just signed up to test a bag pattern ~ busy busy! Pick me! 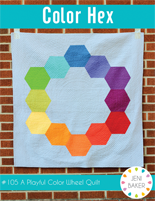 :) I am working on EPP Hexagons, a wall hanging made of Moda Ruby and my Lotta J. Echo Quilt! Thanks for the chance to win!! I'm working on a Dresden quilt right now. I'm making some fabric storage baskets. Thanks for the giveaway! Oh Jeni! Nordika is lovely!! Currently, I'm working on knitting a sweater since I don't have a table in my new sewing room yet. I haven't sewn in a few weeks now and it's making me so sad and anxious. Haha!! oh what a treat this would be! 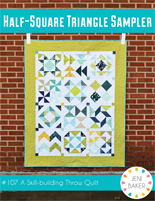 I'm currently working on a scrappy x and + quilt, a hst baby quilt, City Sampler blocks AND Patchwork, Please projects! I barely know which one to work on when! I'm currently working on a large applique Rose of Remembrance quilt. And doing the quilting on my Circle of Life quilt. 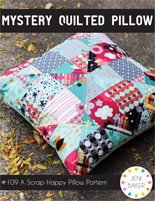 Love this fabric giveaway...thanks! Nice! I'm working on Ballerina's quilt. Thx. I am currently working on my Breakfast, Lunch, & Dinner towels for the Zakka Along 2.0! My first time sewing with Linen and I love it! Currently I am working on a number of unfinished quilt projects and today I hope to get a quilt basted together. Love, love this line of fabrics. 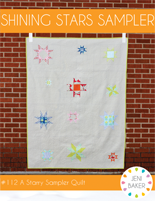 Working on Variable Sawtooth Star quilt. I'm currently trying to finish up a few quilt projects. Thanks for the giveaway ... I absolutely LUV the Nordika line!!! Finishing up my first quilt, "Semper Fi", for my son-in-law. I'm currently working on a quilt for my parent's fifth wheel. Thanks for the opportunity to win some of your AWESOME fabric!! I'm making a beach robe for my son. Great fabric, I love it! Hi... I love the fabric ... I'm currently working on unpacking and setting up my sewing room ..... thanks for the opportunity! 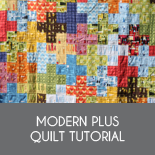 I'm finishing the quilting on a modern quilt for my dad. Not sure he'll have it by father's day, but I'll do my best! I am trying to decide on the design for my son's quilt. He actually asked for me to make him one! Thanks for the giveaway, the fabric is gorgeous. i love your new line! thanks for the chance to win some. 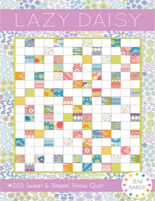 :) i am currently working on some quilt squares for a friend and i am awaiting the arrival of my new sewing machine! 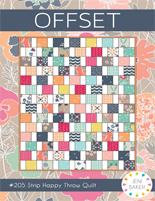 I'm working on a 30th birthday surprise quilt for my best friend, and I just ordered the fabric for a baby quilt. Thanks for the chance to win!! Love the new line! I'm currently playing catch-up with my blocks for the Skill Builder BOM! I'm currently working on finishing up my FMF table runner, hoping to finish up the top at least by the end of the weekend. Wow! Thanks for the chance to work with your great new line. Right now I'm working on a blue/yellow churn dash quilt for my own bed! 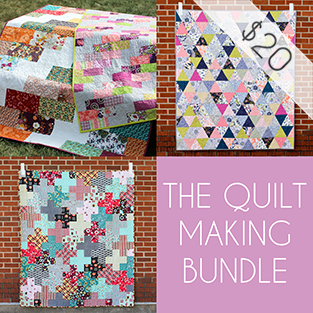 I haven't kept a single quilt since I started quilting in 2010 so I figure it's about time! i'm loving the garments you sewed up with the fabric! i'm actually starting to sew some sundresses for the summer... to add to my already large collection of handmade clothing! 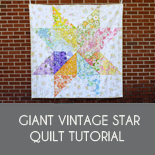 Just waiting for my batting so I can quilt my giant star quilt! Ooh, I love your new range. I am currently working on a dresden that went wrong and I am tring to put right! I'm working on a baby quilt for a friend--done the top, and one for myself--getting close to needing it!! I'm working on multiple things right now (but who isn't?!?) but specifically repairing a beat up quilt for my mom (it was store bought but she just can't part with it yet!) and a faux chenille baby blanket for my friend who had her 2nd baby boy about 2 weeks ago! I am currently working on the Wallflowers pattern by Cluck Cluck , Nordika would be perfect with this pattern. I love your new line! Right now I'm working on a wedding quilt for my sister, and set of pillows for my in-laws. I'm currently working on a quilt for a wedding gift. I'm working on two quilt as you go patchwork bags and a king size chevron quilt for my sister. Thanks for the awesome giveaway. I love the fabrics. I'm currently working on craft-it-forward gifts. After that I'm gonna be making a dress for myself. Oh, I would love this! I'm currently working on 2 skirts, but my serger isn't cooperating. :( Oh, and a raincoat as we're in monsoon season in MN!! Oh, Jeni, this is awesome! I am currently working on the last bit of quilting on an improv quilt. Trying to find the time this week between work and the flurry of end-of-school activities. Love these colors! Im making bibs for our granddaughter! 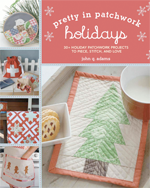 I'm starting to plan Christmas quilts! I'm getting ahead this year! Currently working on an ocean themed quilt featuring some Heather Ross mermaid sisters! Hi! 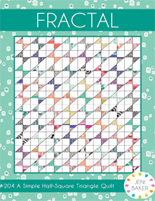 I'm working on a graduation quilt for my great niece...then I want to make something for myself!! Love it! I'm currently working on a simple patch mini and planning my next bag to sew! I am working on a t-shirt quilt from my 6 year old sons old t-shirts - with a superhero theme! 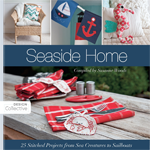 Love your new fabric line!! I'm working on 2 things right now. A counted cross-stitch Hogwarts Crest (for my best friend's birthday) and a grey/yellow strip-piecing baby quilt (for a friend's first child/son). Those are super cute! I'd love to win them. Currently, among my 100's of pending projects, are a couple of quilt tops for my kid's twin size beds and some vintage sheet baby quilts for a local craft show coming up in October! I'm currently working on a dress for my friend's daughter and a giant blue & yellow scrappy quilt! I'm working on a quilt. I have white blocks with one hand stitched lavender rose blossom in the center of each block. I'm still trying to decide where to go from here. I'm new at quilts and this will be my first retirement project. The quilt is for my sister and she does not like country. It must elegant to please her. I like country. 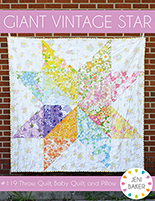 My other project that I'm dying to get started on is a quilt for my 4 year old granddaughter. I have a lot of Tinker Bell material, a few pieces of Disney princesses and maybe a small amount of Dora. 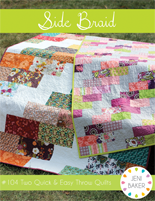 I am working on the Tula Pink City Sampler Quilt Along with Sara at SewSweetness. 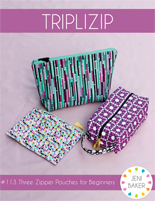 I have loved all your project posts - love seeing your creations and I really love your new fabric line! This line is my favorite upcoming line of fabrics. Thank you for the chance to win. Right now I am working on a EPP mariner's compass with saltwater fabrics for a nautical summer quilt. Im currently working on a travel bag for myself. Plus I have soooo many wip's that I need to finish! I'm currently working on a baby quilt for my nephew. I'm working on some basic garments to go with all the crazy printed things I've made for my daughter lately. This is my year of quilting. Trying to focus on quilting 7 tops that are sitting in a bin. My goal is to clear out all my pending projects before I start a DearJane. I have also been working on Pellons Winter Mystery Quilt Along as well as making a couple of dresses for my girls. 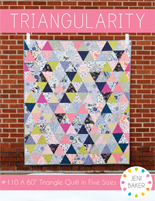 Kokka strawberry frame square quilt, and Liberty Stile x-plus quilt (both with grays, dark grays, Architextures, and Comma mixed in). Your post this am made me itchy to make a Nordika Staple Dress, though!! 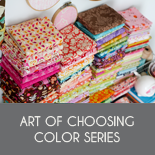 I love the colors you chose for your new fabric line! I am currently working on 2 baby girl quilts! Right now I have several projects I'm working on. An embroidery hoop, a wall hanging and getting ready to cut into my Chicopee or Shelbourne Falls to start a new full size quilt. I love, love, love this line! I hope I win but if not, I'll be buying in July! I love this line! I'm paper piecing some arrows! 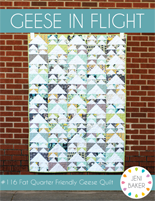 IF I won I would make a Nordika arrow quilt! I'm currently finishing up a Photo Quilt for my Dad who is 84. It shows pictures that span 50+ years (we lost Mom 12 years ago). Little did I know that this Fathers Day he would be in Hospice after suffering a heart attack, so glad I'm doing it for him. 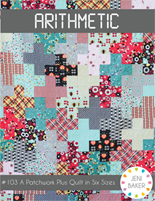 I'm working on a pillow cover for a swap ... and on a Schnibble pattern ... Camille's 'Firework' ... Aneela' new quilt pattern 'Meow' ... the Blogger's Girls BOM ... and I think I forgot about a few others. But I can't be the only one with a few douzen WIPs at once, right? Thanks! BWT I love your Nordika stable dress. Thanks for the giveaway! I'm working on a pinwheel quilt for my mom, plus a number of other UFOs (unfinished objects)! hi Jeni! 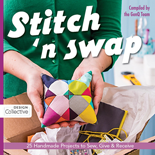 your fabric collection is amazing so have a chance to win it is wonderful! I'm working on clothes for my baby girl and a few bags.... but I need start a new quilt so I hope be the lucky one! Hi Jeni! Love your new line! Right now I am piecing a diamond throw quilt in shades of Kona blue. It will be a gift for a bridesmaid in just a few short months! Happy Wednesday. 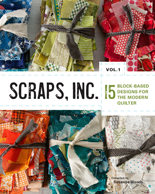 I'm working on a spool quilt made of scraps! 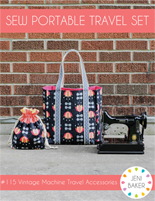 Beautiful fabric and awesome giveaway! Right now I am working on my first ever quilting project- a mini quilt. I have three quilts I am working on as well as baby girl items for my future niece. I´m working on a wall quilt for a friend. Thanks for the chance to win. I am working on a quilt for MY bed and a couple of pillows to match! I am currently working on a purse made up of patches! Such great fabric. I love your staple dress! Thanks for the chance. Thank you for the giveaway Jenni! I'm currently working on a triangle quilt for my husband for Father's Day. I need to get going on it if I'm going to finish in time! 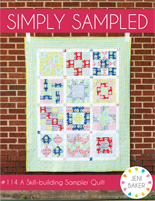 Baby quilts -- yep, that's very plural. A dozen or so friends have had or are having babies this spring/summer. Also, I love your Nordika Staple dress and may have to make one of my own when yardage becomes available! 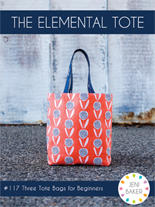 I am finishing up my Ellison Lane Summer Sampler series mini quilt and then about to get started on my Amy Butler Weekender bag. 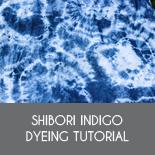 I have Echino fabrics in store for that project. What a beautiful collection! 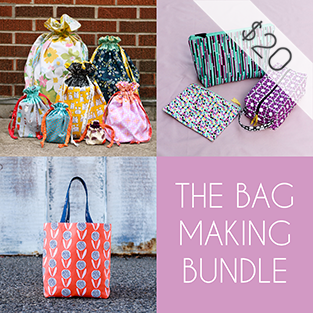 Thanks for the chance to win :) I just love all the items you've made with these fabrics! I'm currently working on the cathedral window pincushion for a friend's birthday. What a great giveaway! I'm currently working on an art quilt featuring my parent's orchard. Working on a Dear Jane. So exciting!! I hope I win! Right now I'm working on a twin-sized quilt for my nephew who just graduated from high school. Maybe I'll show a peek of it on IG; he hasn't been on there much lately. ;) Thanks for a chance, Jeni!! Nordica looks lovely. I would love to make a quilt with this and wrap around during teh severe rainy months. I'm currently starting to make some Steam Punk blocks, but I'm not real sure about where it is going! This fabric is just darling! Right now I am working on two projects. My nephew and his wife are expecting their first baby so I have most of that quilt finished. 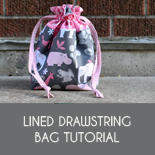 The other project is a quick "grab & go" tote that I just started pulling scraps for this morning. I wanted something I could finish in a hurry! Congrats on the new line - it's beautiful. I am working on lots of quilts - so much to do but so little time! I am handquilting a quilttop for my son. And work on some hexies between. Love those fabrics! Oh my golly I would love to try working with some of this awesome fabric! I'm currently quilting a snuggle quilt for my niece! I'm finishing a bridesmaid clutch for my wedding...and handquilting a Halloween quilt to keep me from getting stabby/anxious. currently working on a sock knitting project, and still slowly working my way through your BOM quilt-a-long from last year! 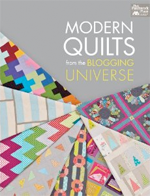 I am finishing up a t-shirt quilt gift and can't wait to start some fun new projects! WoW! I'm so excited for this collection! I'm currently working on the Patchwork, Please sew along! I am currently working on a table topper out of Lucie Summer's Summersville. It is turning out cute! Oh, me, me! Please! I adore your collection. Right now I am working on helping a friend speed through a quilt for her brother and future sister-in-law. And then I need to piece the back for my new nephew's quilt, and quilt that plus the other quilt for my other new nephew. I love your fabric, it's been on my wish list! Hoping to start a quilt soon. I'm finishing up a wedding quilt for my brother. 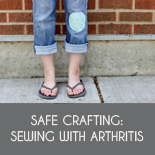 I used AMH's Little Folks voile. It's going to be hard to give away! Love your new fabric! Thanks for the great giveaway! I'm working on the paper pieced blocks for the Dr. Who Along! It's great fun! Love these colors! 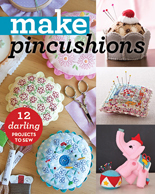 I'm working on a wide range of projects, from some pincushions to pillows to quilts to clothes. Plus some knitting. Thanks! Hi! I love your fabrics! They are so beautiful and because I'm from Finland I'm especially fond of these! I'm making foundation pieced forest theme quilt and other hand pieced. 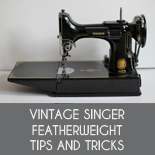 Next I would like to make something different and your fabrics would be great for that! Quilted bag in construction vehicle fabric for my 2 yo's construction cars and a doll quilt! i am currently piecing a charity quilt for Siblings Together here in the UK. and trying to finish/quilt a vintage sheets/linen patchwork bedcover. it's huge and scares me! I am currently working on a quilt of valor for my nephew who served in Afghanistan. I would llloooovvveee to win! I have a zillion WIP's i should be working on but right now im working on a table runner out of orphan blocks and finishing the binding on a simple quilt from plaid shirts. I'm working on designing a block for my bee month. 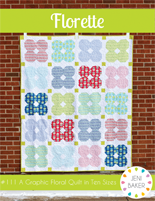 It would be a special treat to have a Nordika quilt with the bee blocks... :) Thanks for the chance to win! Love your line and the projects you've made with it! 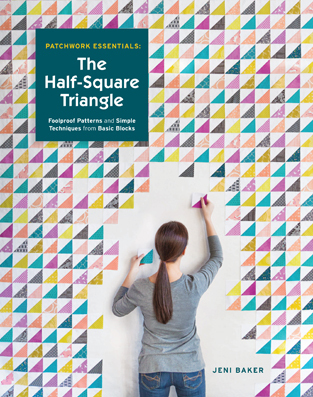 Right now I'm working on some zakka projects from the book Patchwork Please. Oh, I love this collection!! My project to do list is a mile long, but right now the projects sitting next to my sewing machine include hooded bath towels for my 18mo. old son, a tote bag as a thank you for my mom, a few different taggy/softy toys as baby shower gifts, and replacing the Velcro on my son's cloth diapers. I am currently working on a couple of quilts to donate to the Oklahoma tornado victims. Nordika looks so beautiful, Jeni -- I hope you're really proud of it! I'm working on a few garment projects: a dress shirt for my boyfriend, and then a few day dresses for myself before we go on vacation! Thanks so much for your giveaway! Love Love Love it!!!! Would love to win it too! Working on a wonky cross quilt , a plus quilt and a wonky log cabin Santa. Working on a quilt for my little girl and some table toppers/runners for a friend's wedding gift. Love your new collection! I am working on quilted pillow covers as a housewarming gift for a friend. Love this collection and thanks for the giveaway! Trying to finish a quilt made from batik fabrics. Love the colors in this giveaway! 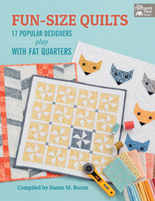 Currently, I'm...doing teh Zakka Patchwork Please QAL, and I'm making letters for my towels, I'm finishing up some AGF hexie trivets, I'm planning pillows to make and bring to Fat Quarterly Retreat, and...catching up on the FQS Designer Mystery BOM from last year! Love your new line!!! I'm working on a baby quilt using prints from Maze and Vale. Thanks for the giveaway! 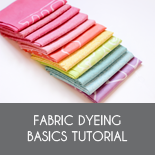 Love your fabric! I'm working on a "pebble" quilt! 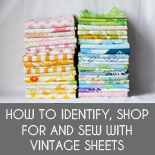 They are lovely fabrics and thank you for the chance to win! I love the fresh colours of Nordika. Thank you Jeni for the chance to win some of this ggodness. 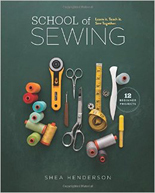 I am currently working on setting up my new sewing room so that I can get started on my Farmer's Wife Sampler quilt. Right now I'm not working on anything - trying to figure out how to work some toddler-proof curtains into my daughter's room is taking up my brain power. First, LOVE your new header! 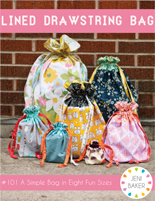 Secondly, I could see one of your bags in each of those dreamy Nordika fabrics (use your tutorial ALL of the time!) 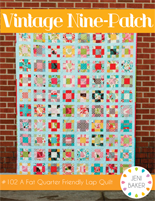 But what I am working on is piecing a low volume Mosiac Rose, hand-quilting my Granny Squares quilt and sewing little Geranium dresses! Thank you for this giveaway chance - I am so in love with the line! 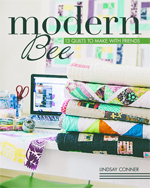 I am working on a quilt using the It's a Hoot Line from Moda. I'm using the Wonky Canasta pattern from Oh Frannson. I'm also working on a skirt -- Cute Skirts by Favorite things. I would love to win the Nordika! I think it would make a great Super Tote from Noodlehead. Gorgeous! Working on a tinkerbell inspired dress for my daughter. 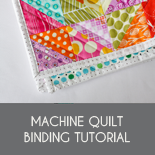 I'm finishing up hand sewing the binding on a quilt that will hang in my sewing room. I love your new fabric line, my fingers are crossed. I love your new collection so I have to comment! Right now I'm working on a secret quilt project and also finishing up a Pow Wow quilt in aquas and golds. Thanks Jenni! I'm working on a few new designs, non of which have made it off the paper yet... But it's coming along! 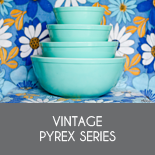 Fabulous giveaway - I love the colours! At the moment I'm making a wedding quilt for my sister! I'm currently working on a baby quilt for a friend of mine, all from my scraps. That's a fabulous line of fabric you've designed. Jeni, New collection is awesome! Wouldn't expect anything less. Right now I'm working on several things: curtains for my brother's apartment in Chicago, designing our own fabrics with a friend, a quilt with Alison Glass fabric, pillowcases, a Swoon quilt ... I should stop there, even tho there are LOADS of other projects! Here's to a long life, filled with fabric so we can all finish our quilts! I'm working on a quilt with embroidered blocks of the flowers of the 50 states, I love your new line! 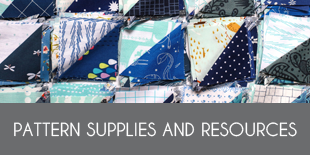 I am currently working on a swoon quilt. 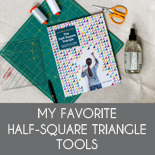 I am excited but not great at 1/2 square triangles. Love your collection and can't wait to get my hands on it. right now i am in the process of finishing up several quilts for donation to my guild for senior services, a paper piece project and getting my UFO (in progress) pile finished up (I think there are 5 currently. I love your new line - and I love the name! 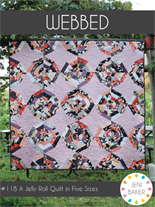 My main project right now is a wedding quilt called Whispering Stars from an older issue of American Patchwork and Quilting ! Thanks so much for the chance to win.